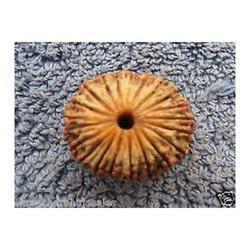 Pioneers in the industry, we offer energized rudraksha bead from India. Dip this Rudrakhsa Bead in 200 ml of water and Mix it in 1 Litre of Water and consume the water for the whole day or for 2 days.This helps to keep the Normal Healthy Body Frequency always. Also enjoy high energy levels. Very helpful for CANCER affected people to regain their LIFE FORCE ENERGY. Looking for Energized Rudraksha Bead ?